Hairgenics’s Pronexa Hair Therapy Healing Conditioner contains a proprietary blend of ingredients clinically proven to have beneficial effects for hair growth, regrowth and overall hair and scalp health. 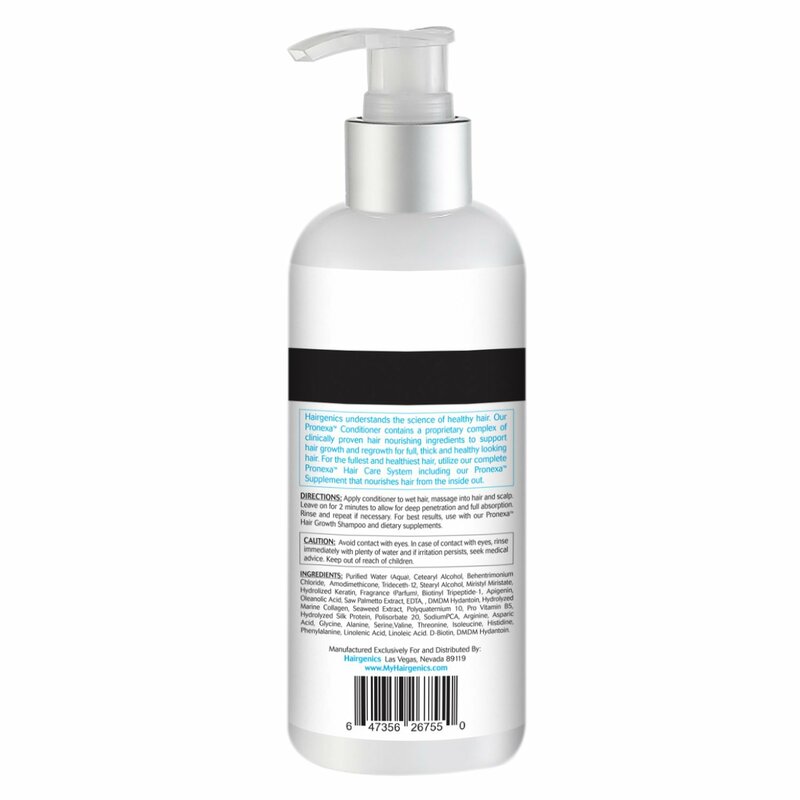 Our conditioner uses the absolute highest quality and most effective ingredients including Keratin, Biotin, Saw Palmetto Extract, Silk Proteins and Marine to deeply moisturize and heal dry and damaged hair while reducing hair thinning and shedding, and adding body, thickness, and volume to your hair. I probably should be using a whole lot less then I do as I’m on my third bottle in 2 months, but I’m just addicted to this and love lathering up and letting it sit for a while. A+ hair nourishment conditioner that I tell all my girlfriends about. Male and female friendly for those wondering. On my third bottle of this conditioner alongside the pronexa shampoo and really starting to get comments from people. That’s really the ultimate testimonial one can give or get for a product… when people that have no clue you are using or doing anything different start asking you what you started doing different. Definitely a great and solid product, could always be cheaper, but then again other hair growth conditioners with high quality ingredients like biotin and keratin regularly go for twice as much. On the advice of my Naturopath and holistic natural practitioners, I started a search for a quality hair growth conditioner and shampoo combo that contained the famed ingredients bioton and keratin in them. I tried 4-5 different ones over the last year or so and was about to give up thinking maybe my issues weren’t solvable by this specific route of treatment when I read some Hairgenics Pronexa conditioner reviews on amazon that sounded similar to what I was experiencing. 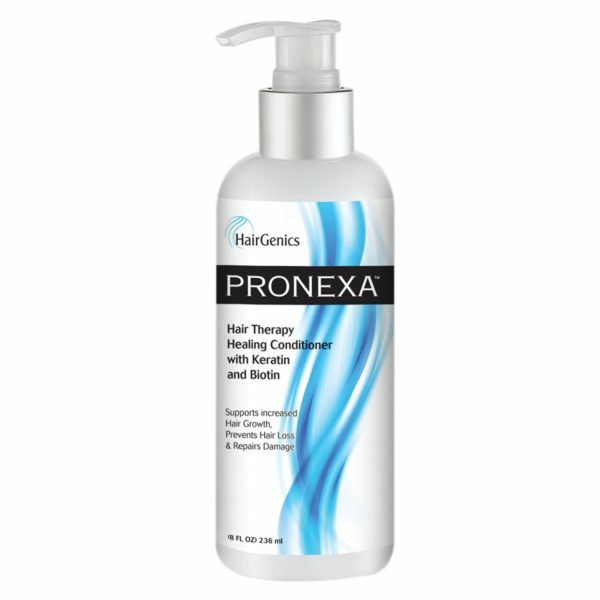 I have gone through two full bottles (6 weeks) and I must say that although there was no miracle hair growth or regrowth, the reviews of Pronexa conditioner were spot on that this is a somewhat afforadable long term hair health therapy that will build over time.